Are Small Groups Really Just Cliques? I'm a firm believer in the potential of small groups. I believe spiritual formation happens best when we are willing to share life with and submit to a small group of people who will lovingly build our character and help us be attentive to the work of the Spirit in our lives. But there are dangers in small groups. I recently came across a blog post which discussed the fine line between healthy small groups and unhealthy "cliques." Below are some excerpted statements from that post. You can read the entire post at The Spiritual Formation Blog. At Calvary, we talk about growing small groups that are "formative, caring, and missional." Our desire is that every person in every group is being formed into the image of Christ, that they are being cared for and using their gifts to care for others, and that they are partnering with others to accomplish the mission of Jesus in the world. 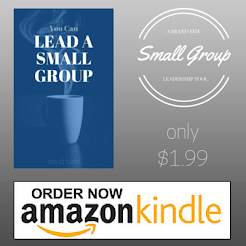 Many large churches provide a coaching structure for the small group leaders. I'd love to be able to do that at some point, but for now... the coaching is pretty much up to me. That means our leaders need to be a little bit self-sufficient in how they evaluate their small group gatherings. The following lists originated as a series of questions for coaches to ask leaders in their weekly sessions (see the original article here). I've modified it to become a list of FOUR QUESTIONS SMALL GROUP LEADERS SHOULD ASK THEMSELVES: 1. What is the best thing that happened in your group meeting this week? This is not a question about numbers. It’s a qualitative question. Think about key comments in the meeting or important prayer requests, or positive interactions. Who is really demonstrating spiritual growth right now? Last week, I met with one of our LIFEgroup leaders who is doing a great job leading his group through the awkward stages of growth. Sometimes, growth causes discomfort and that can lead to conflict. This is a repost from last year that uses a story from the life of King David to address conflict resolution. Conflict is always awkward. Have you ever found yourself in the middle of a conflict between two other people? These situations are always awkward, especially when everyone is friends, and deep relationships are at stake. Most small group leaders will face this dilemma at some point in their ministry. What will you do?